Lauren Danner has been a national park lover for quite sometime. On her website, laurendanner.com, her About page reads “A lifetime of national park geekdom...”, if that gives you any idea of where her priorities lie. As a young New Jersey teenager, she visited national parks in the West and fell in love with the vast landscapes. She moved to Seattle for her graduate program and has stayed in Washington since. Danner is now a writer and historian based in Olympia, WA. When she realized no one had written a complete history on the establishment of North Cascades National Park, she did not hesitate to get started. 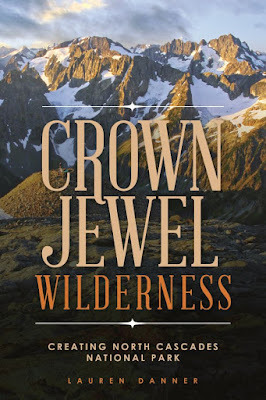 Danner’s book Crown Jewel Wilderness: Creating North Cascades National Park, was published in September 2017, just in time for the 50th anniversary of the park in 2018. 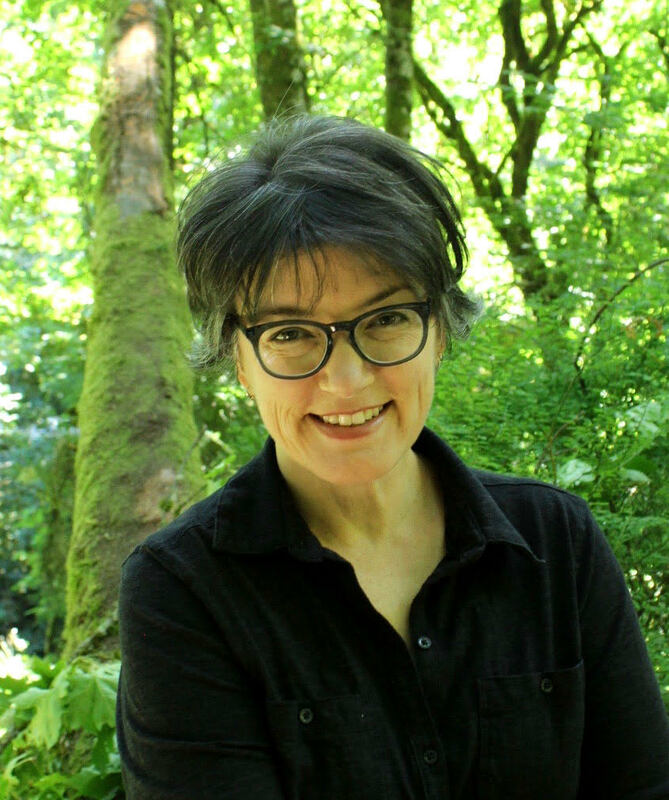 In her book, Danner explains the differences between the National Park Service and the United States Forest Service and with them, the fundamental differences between preservation and conservation. The National Park Service valued preservation: keeping the landscape within park boundaries in its original, existing state for public enjoyment. The United States Forest Service valued conservation: managing the resources within the boundaries to maintain use and recreation for the public for years to come. Both valued accessibility, but the ways in which the public was to use this land was a point of contention. The National Park Service wanted to provide ways for the public to delight in the scenery of the land without jeopardizing it, but they also wanted to establish more roads, easier access to the masses, and tourist attractions to make a profit. On the other hand, the United States Forest Service wanted to uphold their philosophy “the greatest good for the greatest number in the long run”. They sought to keep the land for resource conservation and, peripherally, provide a pure wilderness experience for the public. With these major differences, each entity had to make some sacrifices. The sacrifices and compromises were pushed through government with the consistent work and unwavering dedication of a strong community of conservationists, activists and people who just loved being in nature. It was the people’s passion that made North Cascades National Park what it is today: a crown jewel wilderness. View from Sahale Arm (note the trail in center right), North Cascades National Park. Lauren Danner photo. Danner takes the reader on a historical journey through how public land usage was defined and how that still affects us today. She introduces many spirited, strong-willed people that did not give up on their goals and ideas for the land that is now North Cascades National Park. Danner writes about people like Dr. Pat Goldsworthy who helped found the North Cascades Conservation Council (N3C) in 1957. “Meeting him was such an honor,” Danner says. Goldsworthy was a leading conservationist and held Washington’s wilderness in high regard. He was a medical researcher at the University of Washington by day and conservation activist by night. He was a key player in the passage of the North Cascades Act in 1968 and a persevering soul. He had an unstoppable nature about him. No matter what the obstacle, he fought the fight for North Cascades National Park. It is people like Goldsworthy and Sen. Jackson that make the story relatable and rich. Goldsworthy was just another citizen with a full-time job who put his time and energy into the aspects of life he valued. Sen. Jackson was a political figure who listened to the people and he helped create valuable change with his position. It is an inspiring history to read and still be apart of. View from Cascades Pass trail, North Cascades National Park. Lauren Danner photo. “At this time in our political situation, I want to encourage people to contact their elected officials and congressional representatives. Stand up for what you want with public lands,” Danner says. You never know what you impact you can have. Crown Jewel Wilderness: Creating North Cascades National Park is a story of bargaining in good faith. The voices of the community held weight and can still uphold this good faith that runs deep in our history, no matter what the obstacle. 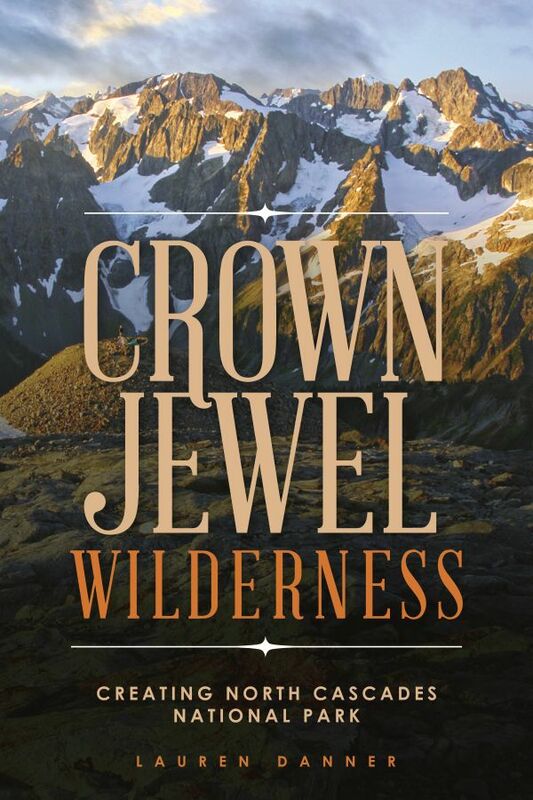 You can find Crown Jewel Wilderness: Creating North Cascades National Park by Lauren Danner on sale at American Alpine Institute’s Gear Shop as well as other bookstores nationwide. Photo of Lauren Danner by Sophie Danner.